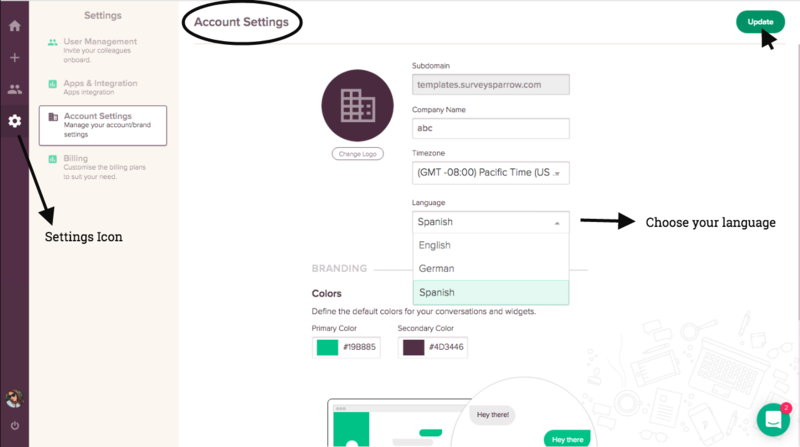 Multi-language support in SurveySparrow provides additional languages along with English, namely Spanish and German. You can update your entire SurveySparrow account in the above mentioned languages. Click on the Settings icon on your account homepage. Under Settings, click on Account Settings. Here, you will find the Language tab. Choose your language as either English, Spanish or German. Once completed, click on Update to save the changes.